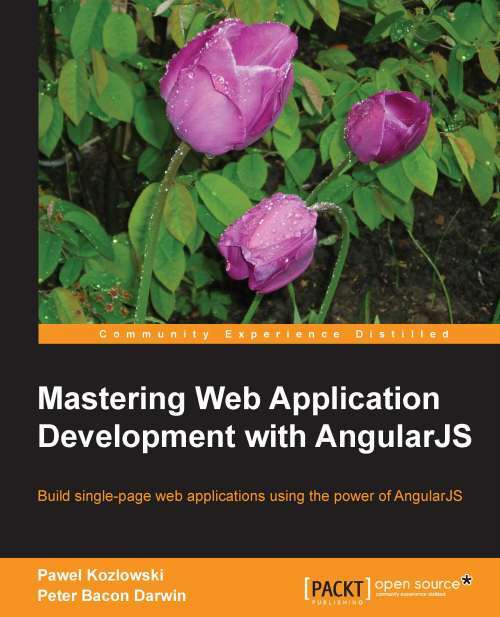 A couple of weeks ago I got the chance to take a look at this AngularJS ebook. If you follow me on Twitter you might have noticed my huge interest for AngularJS. I've getting my hands dirty with it and I'd love to learn more, hell I'd love to work on some real life projects with it. It's too bad I'm the only one at work who seems to be interested in it. It walks you through all the major AngularJS concepts. It covers in great depth every section with explanations, examples and tips. I could see this book as my main AngularJS reference, you can always go back to it to check on a specific topic when building your apps. It wouldn't hurt to go through the basic AngularJS tutorials first (on the official site). You know, to get a sense of what you're getting into. AngularJS is growing really fast and the book might get out of date in certain areas. Have always the official Docs bookmarked as they are the most updated. 4.789.774 post views so far. This page needed 42 queries to load.